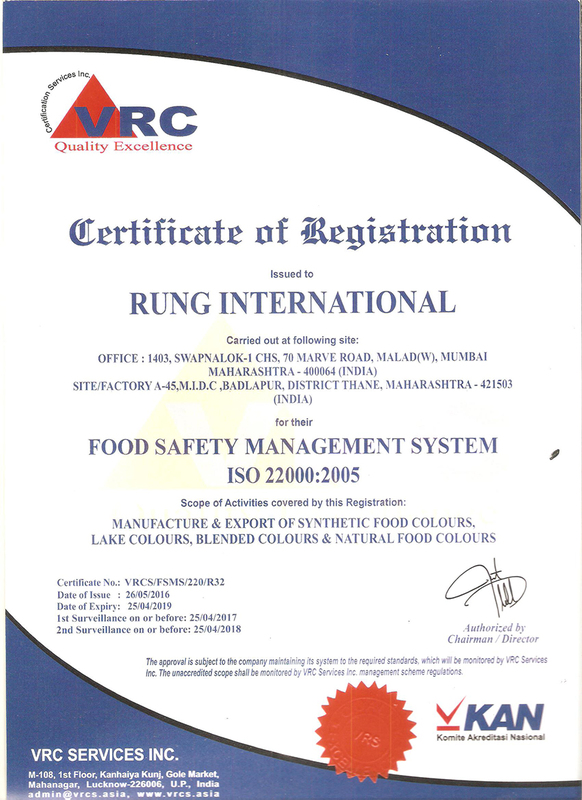 Based in Mumbai, Maharashtra, Rung International is a reputed manufacturer and exporter of a wide range of food colors, reactive dyes and pthalogen dyes. 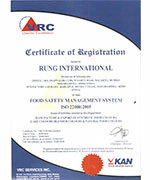 Ever since our inception, with constant research and hardwork, we have been able to make a mark in the global market. The company has gone from strength to strength and has become one of the significant players in its area of operation. 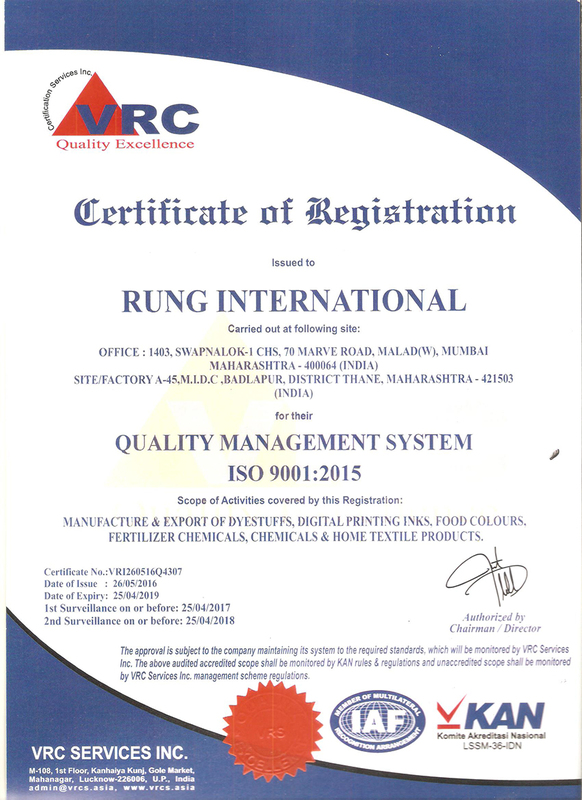 We continuously strive to improve and produce the best quality food colors and dyes. 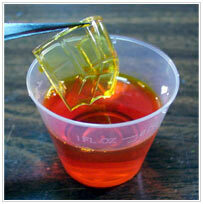 The phenomenal growth of our company has been possible for the variety and quality of its food colors and dyes. Our company aims to provide the most effective business solutions in terms of competitive prices for our products, which also include quality, delivery and services. Right from the sourcing of raw materials to the production of the final product, we give our hundred percent to quality. We always believe in continuous development and we use the latest technology to achieve better quality. 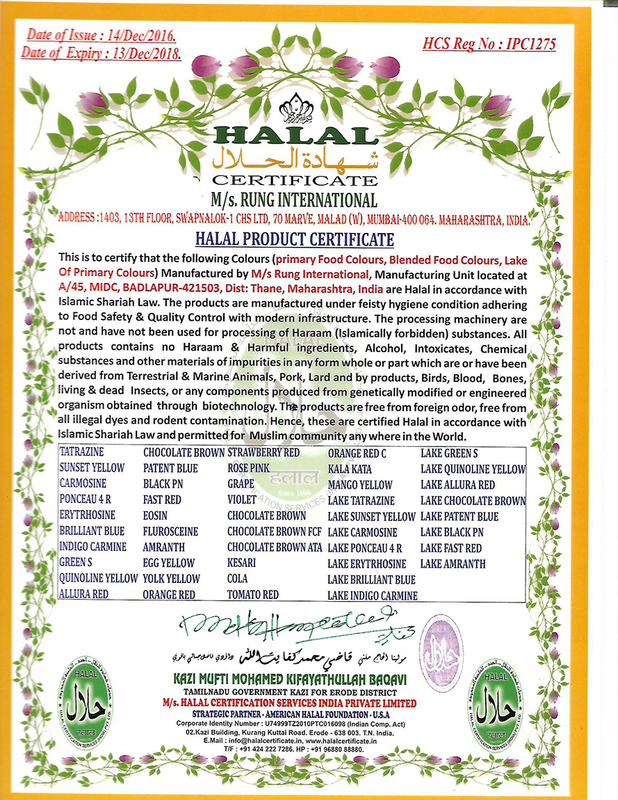 Our products are 100 % safe for human consumption, thanks to our meticulous total quality management system. 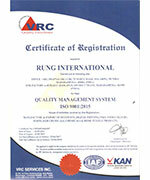 We provide quality products that meet international standards. 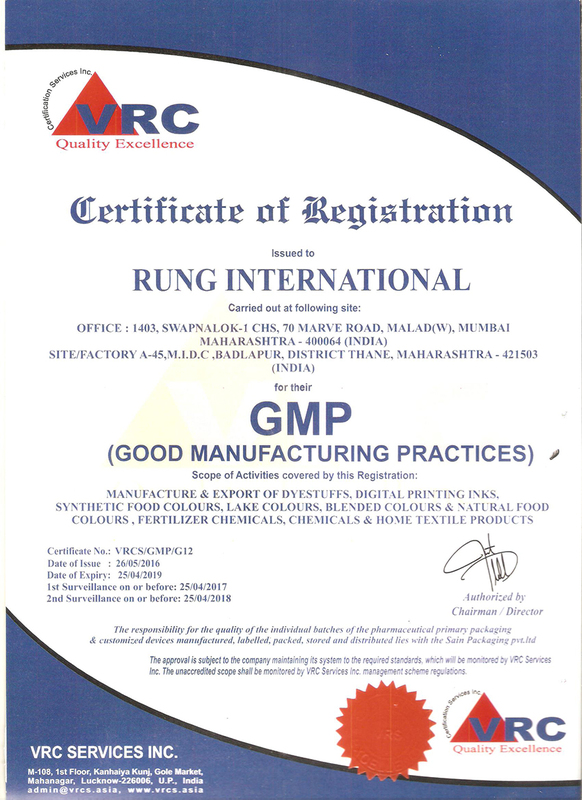 Our company has the state-of-the-art manufacturing facility at Mumbai. We have a well-equipped quality control laboratory with latest sophisticated instruments. The infrastructure of our company is the vital force behind the success of our company and it is supported by highly qualified and experienced experts and work force. We have a large number of workers working with the help of the best & latest machinery available in market. The machines are kept under the aegis of technical experts whose responsibility ranges from rectifying minor snags to notifying the authority concerned when a gadget requires to be replaced. Thanks to the satisfactory quality of our products, our company's client base has developed into a big and healthy one. 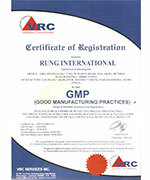 We are regular exporters of our products to USA, Canada, UK & several places of European countries. 70, Marve Road, Malad (West), Mumbai – 400064, India. B-24F, 1st Floor, Malad Industrial CO-OP. Malad (West), Mumbai - 400064, India.